KICKER Powersports revs up with its Coaxial Speakers, weather-proof drivers specifically created as fairing drop-ins on motorcycles, or with UTV, ATV, marine, or outdoor systems. PS5250 Coaxials employ a sophisticated, rare-earth neodymium magnet structure, super light-weight for proper bike handling while offering extreme power for those who like to push it to the brink. The neodymium structure allows maximum output with extremely low weight, superb transient response and high vocal articulation for the utmost tonal clarity. Boasts super-efficient, 20mm neo-titanium-dome tweeters bridge-mounted over the woofers to counter extreme vibration, and incorporates a tweeter sensitivity jumper. They fit Harley-Davidson® and Victory® motorcycles. PS-Series Speakers are available in both 2-Ohm and 4-Ohm impedances, so they are compatible with upgraded amps and stock head units. 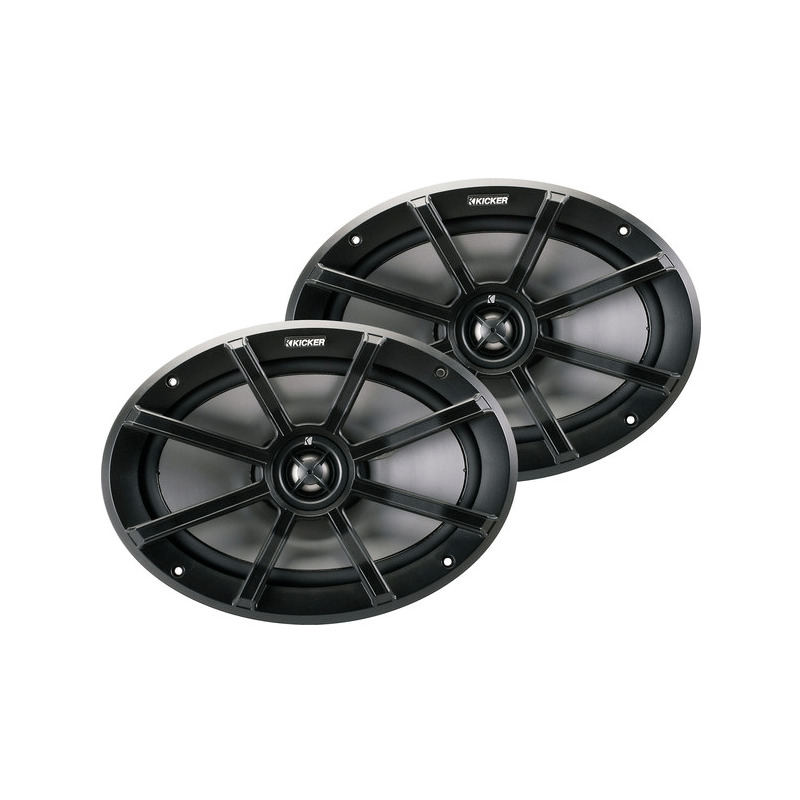 Designed as high-efficiency speakers for low current draw from small Powersports charging systems, the PS-Series provides quality without draining a vehicle's battery life or sacrificing high volume levels that should be heard over the roar of the road. KICKER® Powersports revs it up with Coaxial Speakers. The rugged, weather-proof PS69 system utilizes heavy-duty ceramic magnets for high power handling and volume with ultra-clear music through helmets - even at highway speeds.